CraftPatch doesn't have any items in their booth! Terrific Seller! Always friendly, fast shipping – and never any problems with the merchandise! Whether you are selling to or buying from Mickie you will have a wonderful experience all the way around! 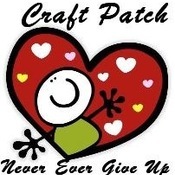 Craft Patch is an awesome seller! Mickie takes pride in her packaging and her shipping is very fast. She is great with communication and will work with you on your order if needed. Iâ€™ve been very pleased with my purchases. You will not be disappointed with this seller. Mickie is an asset to our Bonanzle community. Mickie is a great seller and also has a wonderful sense of humor. Buy from her, you will not be disappointed. Anyone dropping POSiTiVE energY my wAy = definitely deserves my individual PERS0NAL eND0RSEMENT ~ I am delighted to confirm this statement; infact, this artist is even being H0NORED @the promo topics titled: â€œPEOPLE Artist SHOWCASEâ€ for such talented achievementsâ€¦Congrats! Please take a moment to visit membersâ€™ (CraftPatch) b00tH nextâ€¦MONTR0Se approves this message! Kudos to Mickie for presenting a professional and friendly selling atmosphere! Spent some time helping me select the “perfect” bookmark for my daughter. I appreciate the effort and great communication. You can count on Mickie to be honest and go beyond great customer service! What an awesome seller! I had the best experience as the seller was extrmemely friendly, shipping very fast and the packageing beautiful. Thank you so much for a wonderful product as well!